This is an after dinner wine glass meant for heavier wines such as port wines. All glassware comes to you you clean and ready to use. All that we ask of you before return is that you dump out the cups and return them upright in the crate or box in which it came to you. SKU: PQA04. Categories: Party & Event, Serving Equipment, Glassware. Tags: aperitif glass, barware, glassware, shot glass, wine glass, wine tasting glass. This wine glass is meant specifically for red wines. All glassware comes to you you clean and ready to use. All that we ask of you before return is that you dump out the cups and return them upright in the crate or box in which it came to you. 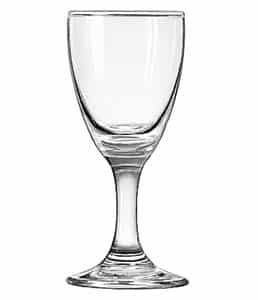 This is a general purpose wine glass which will serve both white and red wines. All glassware comes to you you clean and ready to use. All that we ask of you before return is that you dump out the cups and return them upright in the crate or box in which it came to you.